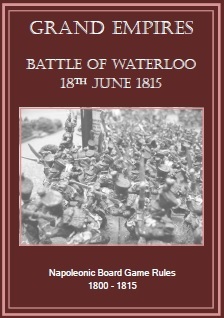 The battle of Waterloo is part of the Hundred Day Campaign and is one of the final engagements for Napoleon Bonaparte and his French army. Having arrived back in Paris, Napoleon is declared an outlaw by the Congress of Vienna and the Seventh Coalition is mobilized against France. 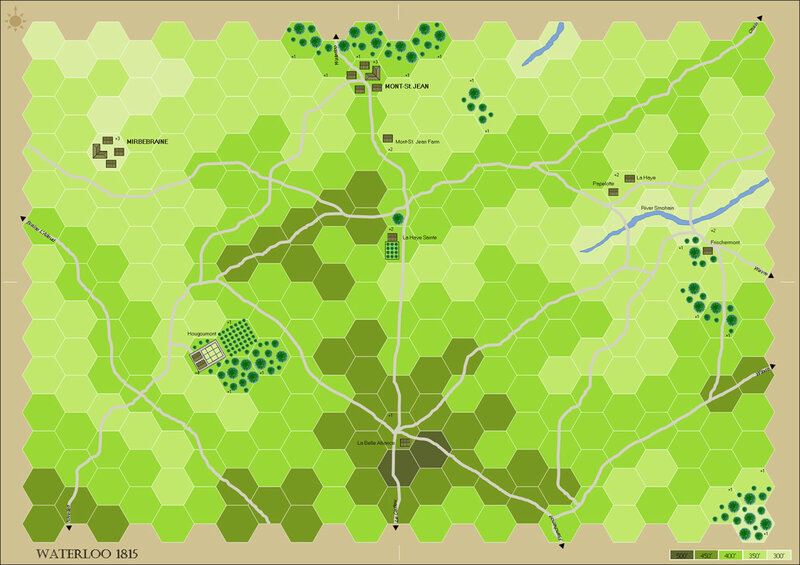 Seizing the initiative Napoleon strikes north into Belgium to attack the British before the forces of the coalition can come together. Napoleon splits his force into three a left wing commanded by Marshal Ney, a right wing commanded by Marshal Grouchy and the Reserve commanded by Napoleon himself. Rapidly overrunning the outposts of the coalition Napoleon positioned himself in the central ground between the British and the Prussians. Ney attacked the British in an attempt to secure the crossroads at Quatre Bras and Grouchy attacked and defeated the Prussians at Ligney. Although the Duke of Wellington finally held the crossroads at Quatre Bras, he withdrew his force to a previously reconnoitered defensive position to the north because of the Prussian defeat. Sending word to the commander of the Prussians General Gebhard Leberecht von Blücher that he would give battle at Mont-Saint-Jean if the Prussians could send at least one Corp to support him, Blücher agreed to send three. 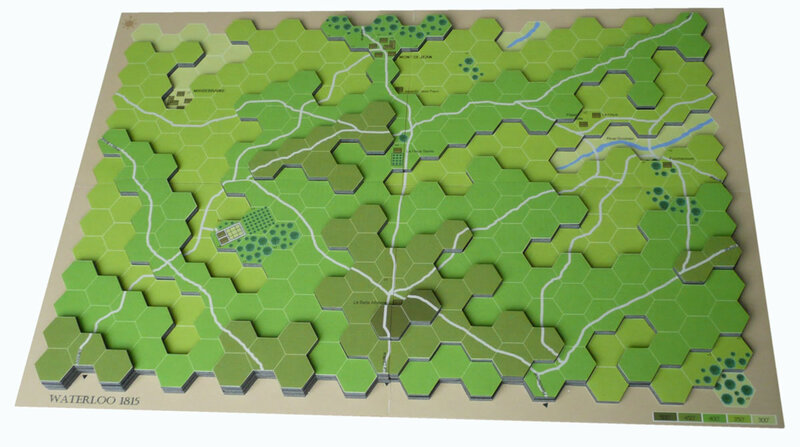 The battle starts at 11 O’clock can you defeat the Allied and succeed where Napoleon failed? The French have twenty bounds in which to cut the Allied supply line at Mont St. Jean. Along the way they can capture up to six settlement hexes, holding these will deter the Prussians from arriving at the battle. The Allied have to either hold out awaiting the arrival of the Prussians or attempt to capture Napoleon. Applying two printed sheets of counters to the opposite sides of a sturdy piece of card will quickly give you the double sided counters for the game. It’s that simple.